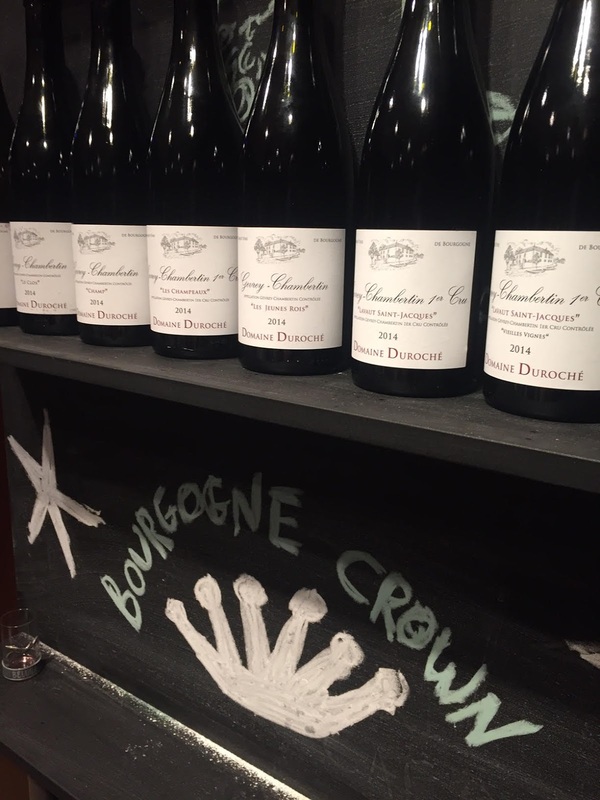 Gevrey is not just about meaty, gamey aromas and flavors. There's a floral character in the wines (especially those made from the cooler vineyards) by winemakers who aim for elegance and eloquence, instead of the more cliched, roughhouse style. That character may not be as intensely flowery and perfumed as Chambolle, but it's there, in the Burguet portfolio, for example. You can also find a lot of minerality. Such are the inclinations of the Duroche domaine, which is imported by Bourgogne Crown and which this post explores, following a tasting of select examples of the 2014 vintage, examples which course the range from Village crus, through Premiers and up to the Grand Crus, one of which is stellar enough to make a grown man cry. This is not very aromatically expressive at first, but air renders more detail, such as exotic spices and flowers. The palate is on the light side, with sleek tannins. A nice house wine at the tasting price of 155 NIS. More expressive and open, also more typical of the village with its sauvage character and the floral element is more pronounced as well. Because the vines are the youngest in the Village wines lineup, the wine is ready to play at a younger age and plays the role of a trailer, in the way you'd usually expect an unnamed Village wine to play. And, it signals the harmonic, precise wine making of the rest of the lineup. Daniel says this is one of the tightest wines in the domaine, but the nose is a step up in expression from the first two Village crus. It is textbook Gevrey aromatically, with that sauvage, again, that you can't pinpoint a strictly funky stink on. Some people call it fur. There is also a tense aromatic signature of earth and minerals. The palate, though, is truly tight and closed, the fragrant fruit of the previous wines locked behind brooding tannins. Which doesn't distract from its feminine elegance. And the potential is foreshadowed by the long, acidity driven finish. This is, on the one hand, more obscure aromatically, while, on the other, the palate is more expressive, framing richness in an insistent, yet elegant, structure. Anyway, it continues the style of the Champs, but adds a degree or two of breed. When the nose finally opens, it shows even more minerals than the Champs. Very expressive, more than any of the Village wines, mixing flowers and minerals, and languid fruit draped by dusty tannins that are seemingly designed to captivate the intellect. Very intense fruit that jabs at your face with a hint of blue fruit and retains that elegance and rich austerity that is the essence of Bourgogne. Here maybe what clinches the fight is focused tannin control. Amazing how it has that blue fruit character without any sign of over-ripeness. You spend years studying wine just to be able to recognize that this has much more to grow into than the previous wines. Gevrey-Chambertin Premier Cru, Lavaut St. Jacques V. V.
All I said about the regular, except the impact is much more reserved and austere. Plus, there's an additional dimension of density and depth of expression. Again, that blue fruit sneaks in, but there's additional depth. 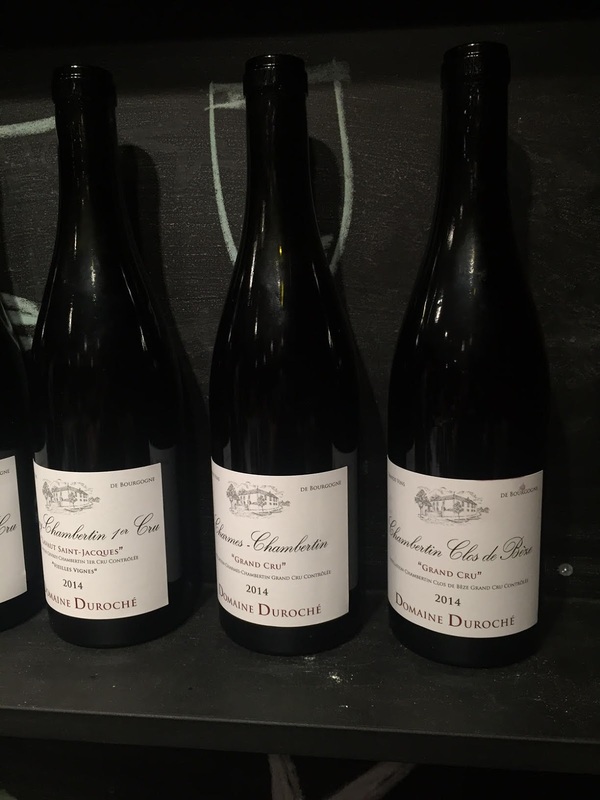 When we tasted the Charmes and Lavaux 2013 last year, there wasn't a clear cut distinction of quality between Grand and Premier Cru. In fact, the Lavaut was the better wine, certainly the more interesting one, and the same holds here, although the Charmes has greater clarity and purity, while the Lavaut (both of them) greater depths of pungent mineral essence. I think, though, the Charmes has more of the exotic spices you might associate with Vosne. Holy stinking cow. You could just copy random lines from all of the above and place them here, then add a caveat about the endless depth and multiple layers interacting with each other. What I personally love about this is how it recalls my first taste of Clos de Beze ( Jadot 2001) years ago. Like someone shoved mud and earth in your face and it turned into nectar.